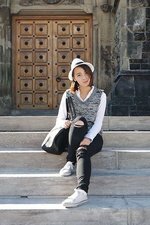 In a casual fashion scene where basic and monochrome trends rule, one stylish girl is standing out with her love for vibrant colours, florals, and prints. 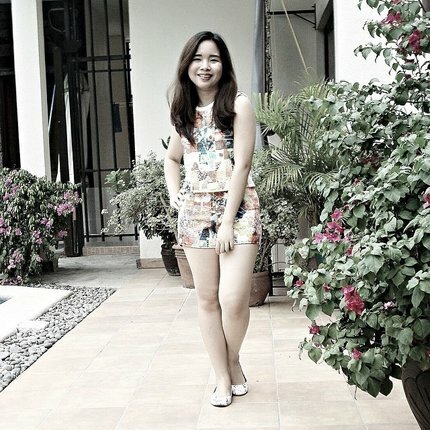 That girl is none other than our Featured Fashionista for this month, Vanessa, also known as Vanessaxlim on Clozette. 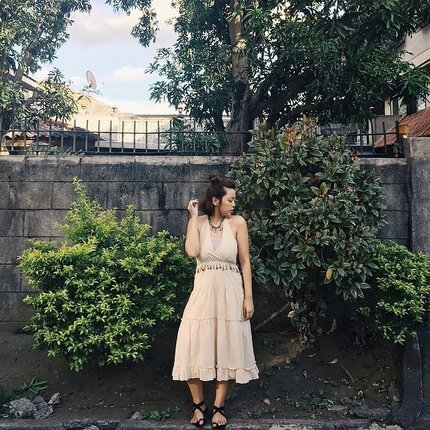 Who knew a few OOTDs can convert a tomboyish girl to an all-out fashionista? 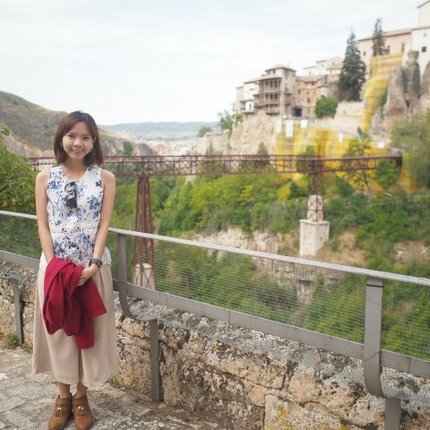 Let's get to know more about her style and fashion story in this exclusive interview! 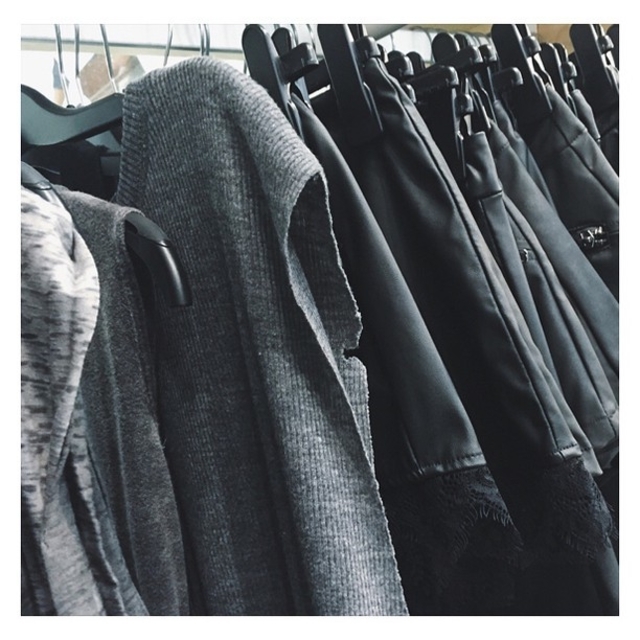 How did you get into fashion and blogging? It’s quite a funny story actually but I will try to keep it short. When I first started dating, my boyfriend was trying to get me to be less tomboyish. Think super short hair, no makeup, and a really, really dated closet. So he introduced me to blogshopping and taking OOTDs. And there was really no turning back from there! So now when he complains about taking the visuals for my Clozette, Instagram, or Dayre I remind him that it was his fault! Fashion wise, I think I've always enjoyed it because I come from an art and fashion background in school. It was only natural that it helped my style develop. Can you describe your style and who your fashion inspirations are? Recently I am quite into the Japanese look, pairing high socks with my shoes. But if I had to describe my distinct style, I think it would be girly-yet-edgy, because 95% of the time you would see me in prints. Whether it be floral, stripes, mixing different patterns...I am always game! 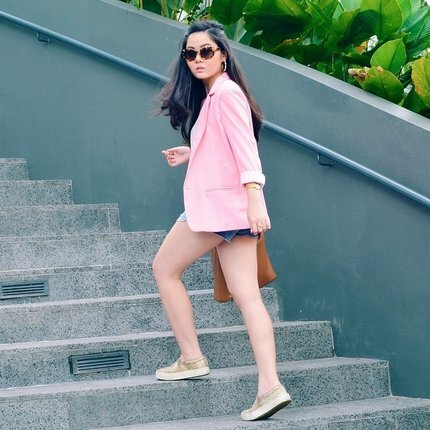 As for my fashion inspirations, I look towards both local bloggers like Christabel Chua, Andrea Chong, and Rachel Lim and overseas bloggers such as Laura Comolli, Camilla, and Hilary Rose. What are your top 3 must-buy closet items for the month of July? 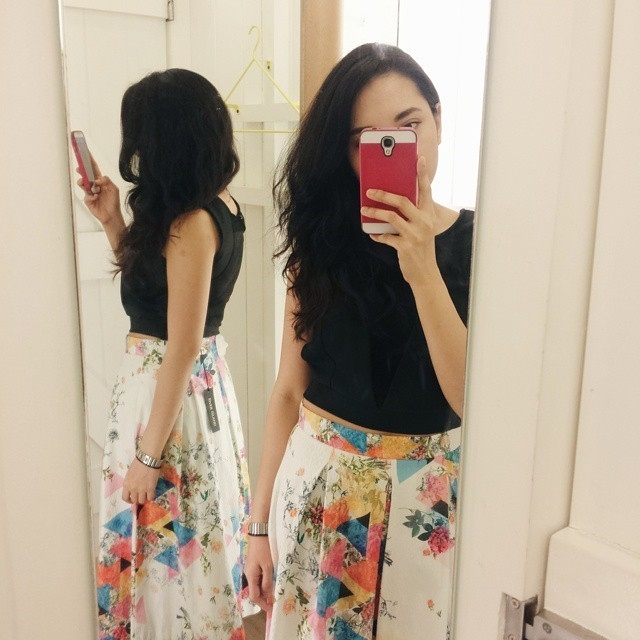 With the insane Singapore weather, I think July is the time for fun, flirty outfits. Printed tank tops, cute shorts, and a good pair of sunnies will do the trick. How do you make your outfits look fun and colourful for the season? Always have a bright lippie to make your look pop! Also, having a colourful accessory can definitely bring that summer fun to any outfit. What is your go-to outfit for a day in school? I swear by dresses for school--just wear it and you're ready to go, especially if you’re running late. If I had more time, I usually like to go for a casual top and cute skirt. And definitely flats, because comfortable footwear for a long school day is a must! Which one was your favourite look? Let us know in the comments below! Shopping online is the most satisfying thing a girl can do with just a click of a button. There are plenty of platforms out there that give you tons of options, but only a few that you can trust with giving you the products and service you deserve. That's why you should always be mindful of the items you're shopping for online. To help you out, here are 4 online shopping tips brought to you by our friends from Lazada! The first tip is obviously--know your size. No matter how pretty the clothes are, if it doesn't come in your size it won't be any good. Since you can't try on the clothes, it's best to take your measurements at home and pick the right size by using the size chart feature. The international conversions (UK, US, EU, Japan) of shopping sites such as Lazada are a big help as well. If you weren't able to apply tip #1 then you may have to exchange it with the right size. Ensure the site has an exchange policy like Lazada’s 100% Satisfaction Guaranteed policy that enables you to return clothes within 14 days, and re-order the outfit in a size that fits you perfectly. Since you're not able to see the product in person, it helps when the item is showcased in a variety of photo angles--from a full body shot to a close-up of how it looks from the back. Only shop for clothing on websites that provide a few different angles so you can see exactly how the clothes fit on the model or mannequin. You will not be able to feel the product face-to-face, so familiarize yourself with it via the product details given by the brands. Read product details carefully to check on the fabrication so you can somehow gauge how the clothes will feel on you and if it'll be easy to launder. Do you have more online shopping tips to share? Let us know in the comments below! Temperatures are rising, the sun is shining, and it’s time to hit the beach! The question on every style-conscious traveller’s mind: How do I look fabulous when I’m going to be drenched in seawater and lying on the beach the rest of the time? For snorkelling, wear a bikini, of course! Scuba diving suits can be depressingly unflattering even if you’re in decent shape. Happily, you have other options if you’re diving in warm, balmy waters: a rash guard and board shorts serve just as well as a wetsuit. Take care to tuck any board short strings away so they don’t get tangled in your scuba gear. 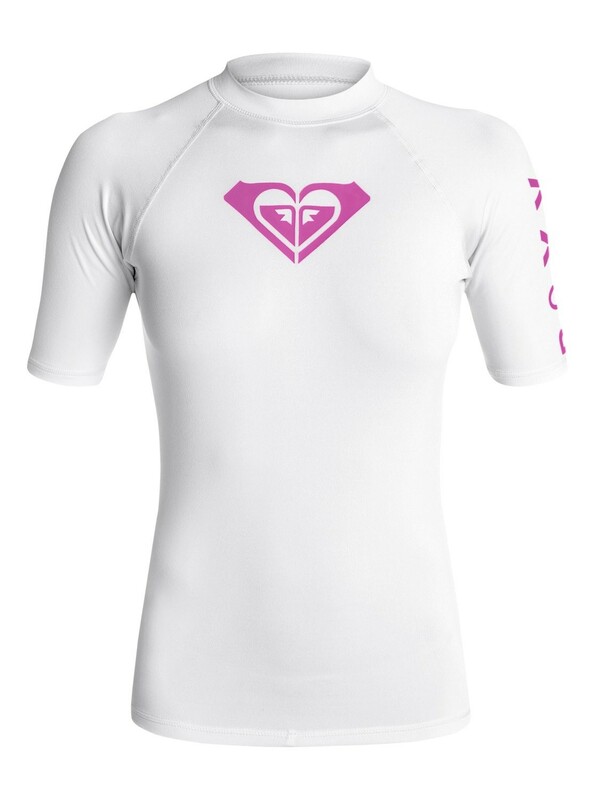 Cute, lightweight, and in 6 colours, this rashguard comes with UPF 50+ sun protection. These charming boardshorts in peach are a delightfully stylish way to explore the deep blue sea. Been working on your abs for ages and dying to show them off 18 metres under sea level? This rashguard has that covered – so to speak. Vintage bathing suit lines meet a modern cut and nylon/spandex jacquard textured fabric rated UPF 30–50+. Give your figure some oomph with hourglass panels on the side that provide a more contoured look. Apart from being a great choice for loafing around on the beach, this frilly, floaty top will probably flirt on your behalf if left unattended. Whether that’s a good thing or not is entirely up to you to decide! Look as cute as a button while you’re observing equally cute sea creatures like anemonefish and scuttling away from less cute creatures like sea urchins. If you’re planning to lounge on the beach more than anything else, all you really need is a sarong or two in addition to your bikini. 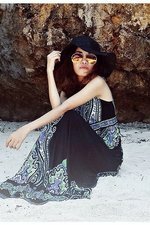 Most developed beach destinations like Bali, Langkawi and Boracay will sell a vast assortment of cheap and cheerful sarongs, beach dresses flip-flops, tank tops, shorts and bikinis at reasonable prices (sometimes reached via bargaining). However, if you’re going to an off-the-beaten path beach destination, it’s probably wiser to buy your beach clothes before arriving. Alternately, make a pit stop at one of the more developed beaches for a clothes run before getting to your ultimate destination. What will you be wearing to your next beach vacation? Let us know in the comments below!